Astute Graphics has teamed up with Adobe to streamline interactions. About a month ago, we learned that plugins were in the pipeline for prototyping tool Adobe XD, and over the weekend, details of the first extensions started to emerge. 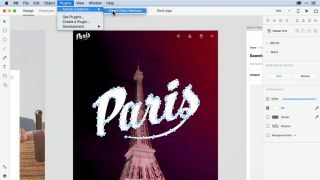 One of the stand-out plugins comes courtesy of Adobe's partner of twelve years, Astute Graphics – its slick new tool promises to make the lives of anyone who works with vector art much easier. Named Smart Point Removal, or SPR for short, this core vector technology reduces the file size of vector assets to help slash download times and increase rendering speeds. This will be music to the ears of artists and designers working to tight deadlines. At the same time, SPR converts imported artwork into assets that can be edited and manipulated more intuitively. The tool does this by stripping back the number of path nodes on vector assets so users can achieve desired results more easily than ever before. With just one tolerance slider control, dubbed 'strength', SPR is as straightforward as it gets. Having previously created vector tools for Illustrator CC, Astute Graphics was able to carry over plenty of hard-won expertise into this extension. Check out the focused vector prototype tool for Adobe XD in action via the GIF below. SPR is part of Astui, a brand new subscription service on offer from Astute Graphics. Powered by AG Tech, the Atsui service includes other vector artwork optimisation, editing and manipulation tools such as Outline Strokes, Offset Path, Vector Brushes and Boolean. Seeing as the core SPR technology is based in servers, the XD plugin will become available as soon as Adobe launches the XD plugin APIs. Other users will also be able to examine and extend the XD plugin codebase upon launch.